Neapolitan is the perfect dessert in whatever form. You get three delicious flavors all wrapped up in one dessert, and now with these Neapolitan parfaits you can have it for breakfast too! You might be wondering where I found chocolate yogurt… the truth is, I didn’t. I made it by mixing together plain yogurt, unsweetened cocoa and chocolate syrup. The result? 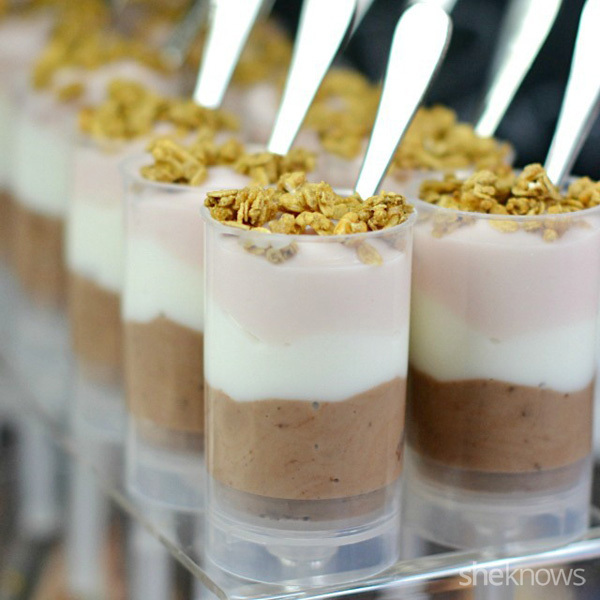 A delicious creamy chocolate yogurt! 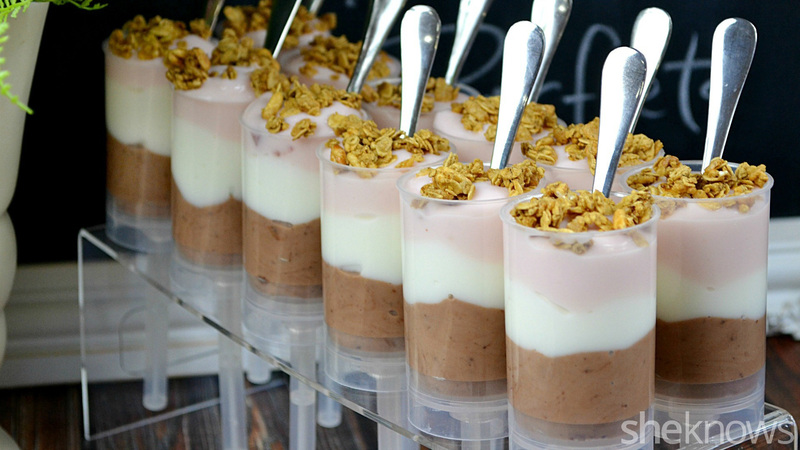 Make these parfaits in Mason jars for an easy grab ‘n’ go breakfast or mid-afternoon snack. In a medium bowl mix together the plain yogurt, cocoa and chocolate syrup until completely combined. Add a layer of each yogurt flavor to a 4-ounce container in this order: chocolate, vanilla and strawberry. Top with 1 tablespoon of granola. Visit Lady Behind The Curtain for more delicious Brunch Recipes.